Carbon Poker also spreads casino games within the downloadable client. You can take a gamble on Caribbean Stud, Video Poker, Blackjack, or Roulette in between poker hands, or choose to to disable the casino if you’d prefer. Caribbean Stud is a Draw Poker game, played on a Blackjack table. With similar rules to 5 Card Stud, Caribbean Stud at Carbon Poker Casino also has its own jackpot reaching into the high five figures. Carbon’s Video Poker variants include Jacks or Better, Deuces Wild and Joker Poker (Jokers Wild). Video Poker has a payout percentage of over 99.5% in favour of the player, one of the most profitable casino games. Get in some Blackjack hands on the side while playing at Carbon Poker, or use the auto-play tool to program your strategy and let the game play itself in the casino client. 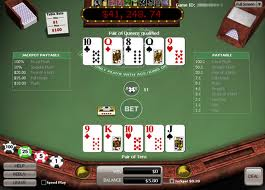 Blackjack typically has a casino house edge of 0.28 – 1%. Carbon spreads European Roulette, most often favored in casinos over American Roulette. Roulette at Carbon Poker Casino has a low house edge of 2.63%. Prefer to stick to positive expectation games like poker where you’re playing against other people instead of the house? Feel like the casino ads are a distraction taking you off your game? Simply email Carbon Poker support and they’ll disable the casino part of the client, removing your access to it. Players have reported on the forums that support do this speedily, with no effect on your poker access.